» Super Bowl Run & Shootaround: So You Want to Play With Magic? Andrew Sharp: This is where I come clean. Back in August, I wrote about the genius and stupidity of Bill Belichick, after the Logan Mankins trade. I’m not sure I was totally wrong for criticizing Belichick’s GM skills — the offensive line was a disaster early in the year, and Tom Brady was getting destroyed for most of September — but ever since then, I have stood in awe of his coaching. Belichick and Brady made me, and every other critic, look like an idiot. This would have been the case whether the Patriots won or lost Sunday, and it’s true regardless of what happens with the fizzling Deflategate investigation. The offensive line got much better as the year went on, that crew of Arena League receivers was unstoppable by the playoffs, and just getting to the Super Bowl was a testament to everything Brady and Belichick have built. They finished the year winning 13 of their last 15, and most of those victories were blowouts. It all culminated with Brady doing whatever he wanted against one of the best defenses of all time. Watching an offense walk down the field, one 6-yard pass at a time, is never going to be the most exciting thing in the world. But once you realize it can’t be stopped … is there anything more demoralizing? That’s a good way to remember Belichick and Brady, too. Jason Gallagher: Let’s try to talk sensibly about that last play call from Pete Carroll. It was second-and-goal, from the New England 1-yard line, with 26 seconds remaining. Marshawn Lynch was in the backfield, and the Seahawks threw the ball, resulting in an interception and SUPER BOWL LOSS. Let’s be mature about this. No jokes about how the spirit of Andy Reid possessed Carroll’s body like a demon. To say that Reid used Carroll’s body as a host would be silly. To suggest that this somehow made Reid stronger … I mean, take this seriously, man. How ridiculous would it be to suggest that, as a result of Reid’s invasion of Carroll’s body, Reid became an even more powerful spiritual entity, hell-bent on destroying the NFL forever? It was just one really bad play. Sharp: Why wouldn’t you run it with Marshawn? Why wouldn’t you run it with Marshawn? Why wouldn’t you run it with Marshawn? Why wouldn’t you run it with Marshawn? Why wouldn’t you run it with Marshawn? Why wouldn’t you run it with Marshawn? Why wouldn’t you run it with Marshawn? Why wouldn’t you run it with Marshawn? Why wouldn’t you run it with Marshawn? Why wouldn’t you run it with Marshawn? Why wouldn’t you run it with Marshawn? Why wouldn’t you run it with Marshawn? Why wouldn’t you run it with Marshawn? Why wouldn’t you run it with Marshawn? Spike Friedman: I’m writing this seconds after the final whistle, at the end of three unbelievably intense seasons of Seahawks football, and all I can think is that Jermaine Kearse made the best catch I’ve ever seen, with a minute left in the Super Bowl, down four. And it’s already slipping out of my mind. It was an impossible catch. He went full Antonio Freeman. Full David Tyree. That was the play. He made the play. 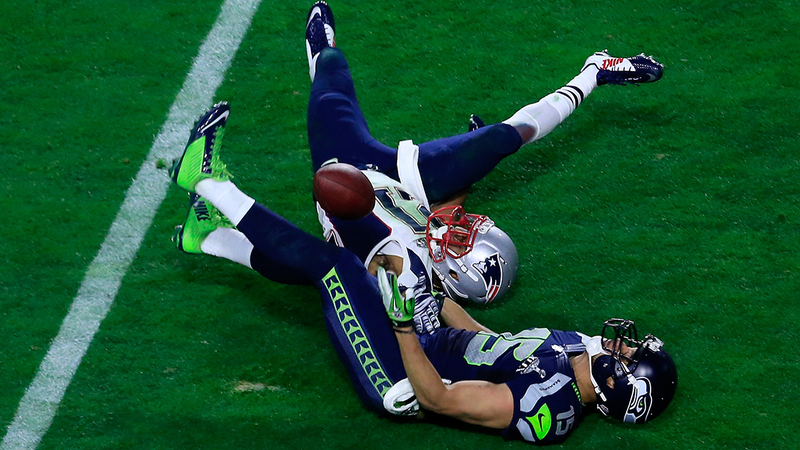 The game-winning play the Seahawks needed someone to make. He made it. 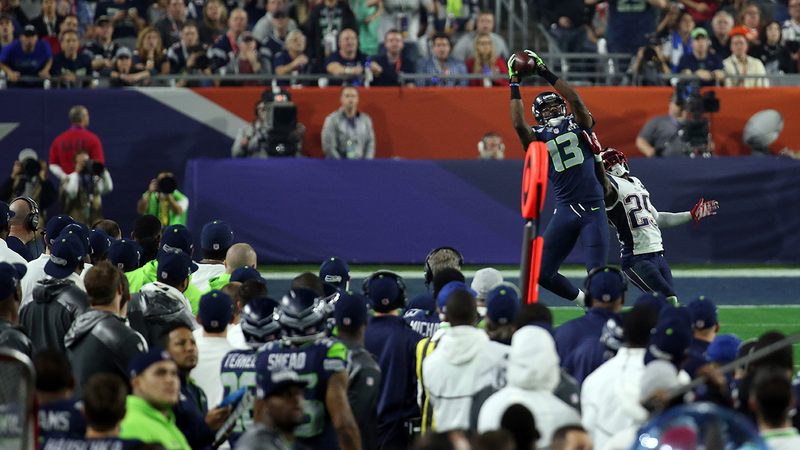 Of course, it wasn’t the play, and it won’t be remembered the way Malcolm Butler’s game-winning interception will. The Oh my god, he caught that feeling I had when Kearse brought in that catch is a memory from a now distant past. But I want to live in that feeling. I want to hold on to it as it fades away, Eternal Sunshine–d by a weird play call two snaps later. Right now, all I want is to go back to that moment, to feel that joy again. It’s gone. I’m clutching onto the fringes of the thought, but thoughts aren’t solid. And all I have left is the feeling that it’s almost impossible to make the Super Bowl, and just as hard to win it, and we had it won, and yet we didn’t, and everything hurts. But that’s the thing. We won last year. We did. And this won’t take that away. Those memories are solid, locked into my brain. That joy counts. Which is no small consolation right now. I can remember The Tip. I can remember the parade. I can remember the NFC Championship Game. This team has given us so much. But man, we had The Play. And now we don’t. Chris Ryan: Al Michaels and Cris Collinsworth could hardly contain themselves. An ex–Foot Locker employee, a former Canadian Football League player, a scrap-heap free agent from out of nowhere. Move a few things around, add a love interest, and the screenplay was ready to shoot. This was Invincible for the 12th Man set. Mind you, Seattle receiver Chris Matthews went to an SEC school and was the 2012 CFL rookie of the year. He got hurt and his career got derailed a bit. To pretend like he was just tooling around a suburban mall with a shoehorn in one hand and an Orange Julius in the other when John Schneider found him is a little bit of on-the-fly mythmaking. But it sure was fun for a few quarters — when the legend becomes fact, pretend like a 6-foot-5 wideout is Burt Lancaster from Field of Dreams. Matthews caught his last pass with about eight minutes left in the third quarter. 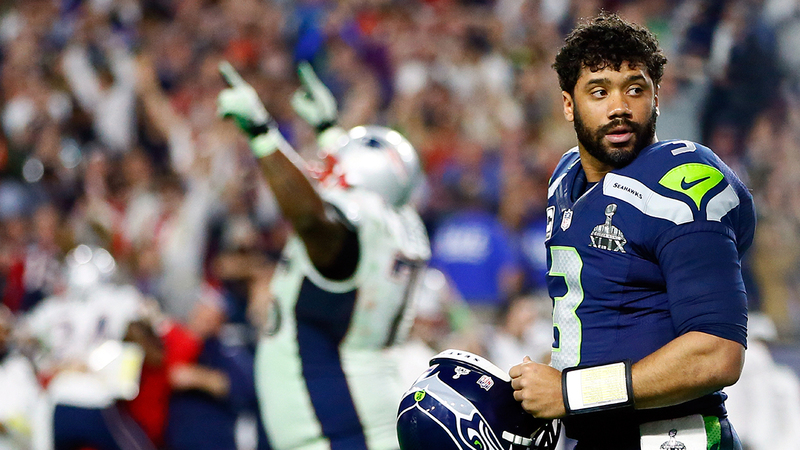 Russell Wilson targeted him one more time, with about two minutes left in the game. You want to know how nuts those last 120 seconds of action were? Think about how many heroes, villains, goats, and Super Bowl MVPs were crowned and clowned from that point until the very end of the game. By the time Brady knelt down for the last time, Matthews was barely a footnote. Being a Jets fan is this doomed attempt at balancing in-on-the-joke self-mockery and self-important, lavish fantasy. You know your team ran the Wildcat as recently as December 2014, but yo, if it brings in Marcus Mariota, Demaryius Thomas, and C.J. Spiller, the Wildcat’s gonna be growling. In other words, you’re looking at the highest levels of this sport — you’re watching the game being played well, watching consecutive 10-yard passes be completed — but you’re seeing it through this lens that shattered into a thousand pieces when Marty Mornhinweg dropped it as he tried to hand it to Geno Smith in the Florham Park practice facility’s parking lot. Darrelle Revis, though, is the best Jet I’ve ever seen. On all of those loud-just-to-be-loud, goddamn-snack-eating Rex Ryan teams, Revis stood out because he was so brilliantly silent. He’d follow no. 1 receivers around, mirroring their movements better than they themselves could — like some perpetually self-enlightening supercomputer — forcing quarterbacks to eventually just say, “Nah, I’m good,” and not even consider tossing the ball his way. A classic Revis game was one in which you just didn’t hear his name for three straight hours. Well, that pretty much happened again last night. 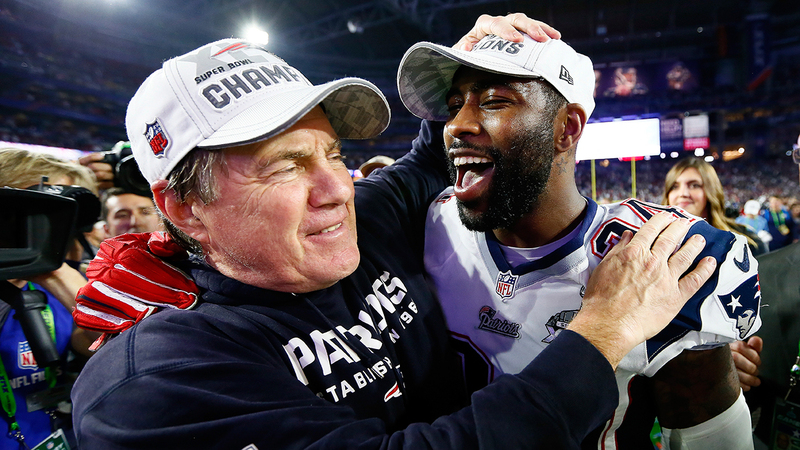 And now Revis is a Super Bowl champ with the New England Patriots. To say that typing the previous sentence brings me despair would be to suggest that years of staring into Woody Johnson’s beady, lifeless eyes have left me with the ability to even consider the possibility of happiness. Then again, man. Revis would look pretty good opposite Dee Milliner, wouldn’t he? Brian Phillips: If you want a quick price check on Marshawn Lynch’s overall thunderousness, consider this: At one point he made Vince Wilfork bounce off him. Do you know how hard it is to make Vince Wilfork bounce off anything? I mean, picture the earth’s bounciest substances — an inflatable party castle, a trampoline. 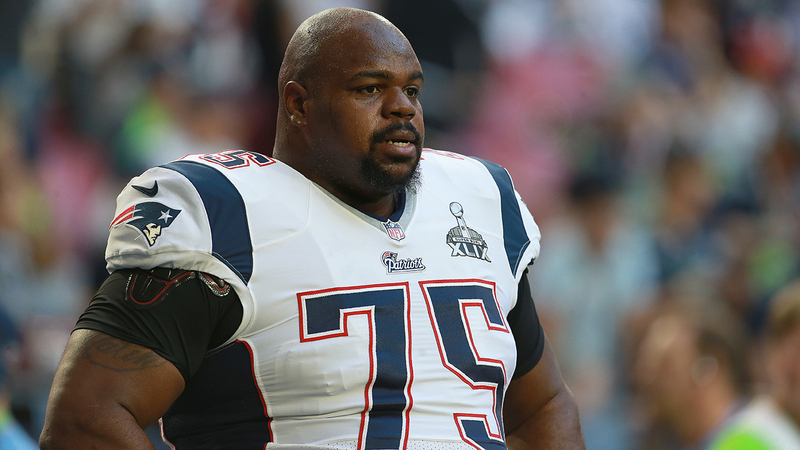 Now picture Vince Wilfork walking away from the craters where those things once stood. Wilfork had two tackles. He wasn’t the biggest factor in the game, except in the sense that he’s the honorary biggest everything of everything. But it was so fun to watch him out there, power-waddling into harm’s way. He’s an immovable object that decided it wanted to be an unstoppable force, a battering ram made out of castles. He’s been doing this for so long now. He’s quietly amassed one of the NFL’s more delightful careers. When you’re assigning Brady and Belichick credit for the Patriots dynasty, remember to give Wilfork his page in the history book. He’s held this defense together for more than a decade — like, literally, with gravity. Do Super Bowl winners still go to Disney World? I hope he has a ball, and I pray for Space Mountain. 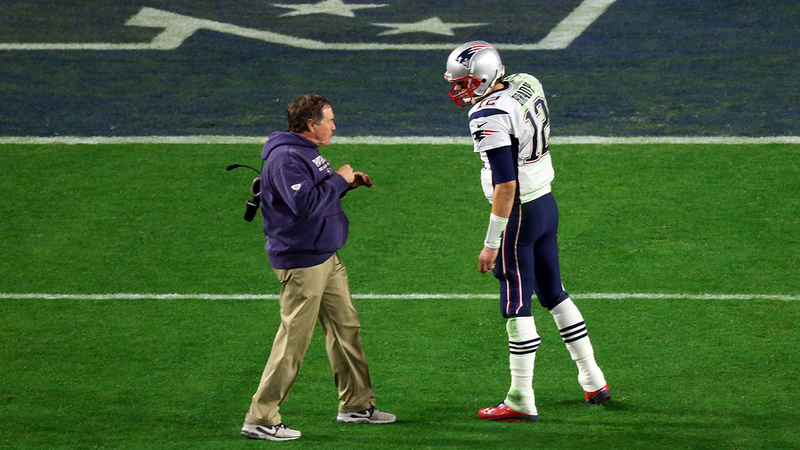 Jason Bailey: You think your head was spinning after yet another frantic Super Bowl finish? Consider Julian Edelman’s poor noggin for a moment. Hours after losing his helmet while making New England’s most important tackle,1 Edelman survived Seattle’s biggest hit of the game. The tone was set in last year’s Super Bowl by Kam Chancellor’s crushing blows on Broncos crossing routes, but he rarely got the chance to pick up speed Sunday against the Patriots’ quick passing attack. The biggest opportunity to rattle cages came on a third-and-14 in the fourth quarter with New England trailing by 10, desperate for points, and looking downfield. 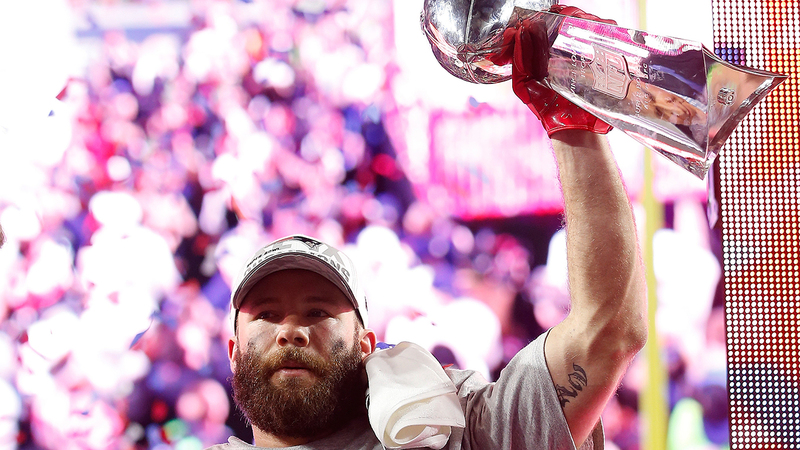 Chancellor delivered, but so did Edelman. The Patriots receiver not only held on to the ball — on a play that possibly resulted in a concussion — but had the presence of mind to reorient himself toward the end zone. The extra yards Edelman gained were purely cosmetic because he was ruled down by contact, but they showed that New England wasn’t going down lightly. That resilience manifested itself in several ways. Edelman was the intended target on an early interception, but instead of sulking in the end zone or contemplating the meaning of life after whiffing on the tackle, Edelman eventually brought down Jeremy Lane on the sideline. When Lane incidentally broke his arm on the play, the game’s entire complexion changed; two of Tom Brady’s four touchdown passes were thrown at Tharold Simon, Lane’s replacement. For those keeping score, that means Edelman — the college quarterback who moonlighted in New England’s secondary during its last run to the Super Bowl — finished with one tackle, three punt returns, nine catches for a team-high 109 yards, and an oh-by-the-way game-winning touchdown that was overshadowed by the theatrics of the final minute. OK, the second-most important tackle behind Dont’a Hightower dragging down Marshawn Lynch at the 1-yard line in the final minute.